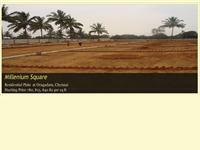 DTCP Approved Plots On OMR - Thiruporur !! DTCP Approved Residential Plots @ Padappai !!! 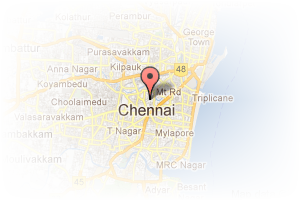 Address: 42, Indira Nagar 1st Avenue, Adyar, Chennai, Tamil Nadu, India. 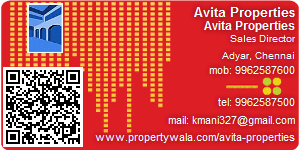 This Builder Profile page for "Avita Properties" has been created by PropertyWala.com. "Avita Properties" is not endorsed by or affiliated with PropertyWala.com. For questions regarding Builder Profiles on PropertyWala.com please contact us.